From its inception in 1916, the ANZAC Day Commemoration Committee has assumed the responsibility for educating the nation’s youth about the origins of ANZAC Day and for imparting the enduring lessons of self-sacrifice, mateship, perseverance, courage, devotion to duty and fidelity in the face of overwhelming odds that sprang from example of the men who fought at Gallipoli on the 25th day of April 1915, and which has been demonstrated ever after by those who serve their nation in time of war and peace. 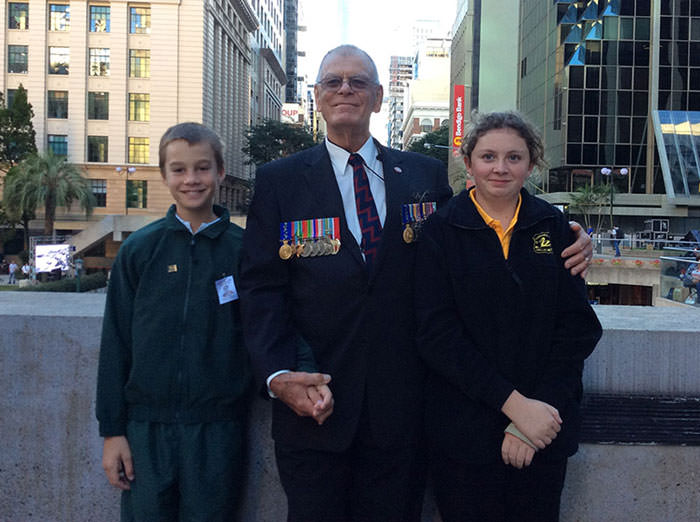 To that end, an essay competition was conducted in 2015 to invite school students to express “What ANZAC Day Means To Me”. 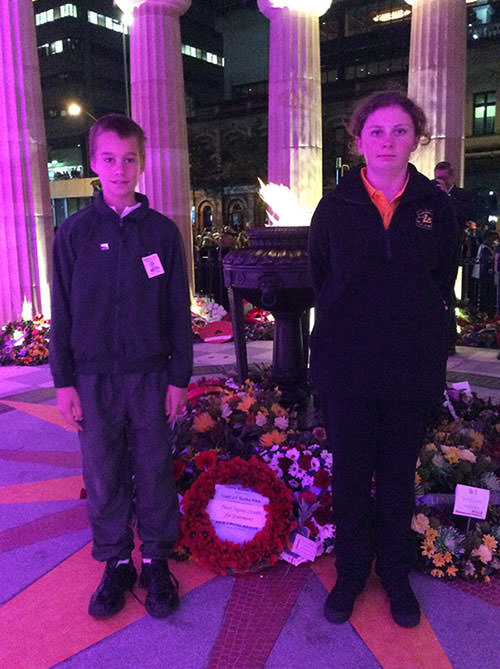 The 100th anniversary of the Gallipoli landings in 2015 will always hold a very special place in the hearts and minds of two lucky children from Outback Queensland. Aiden Webster and Grace Peskett, both from Cunnamulla in south-western Queensland, entered an ANZAC Day research and essay competition conducted via Paroo Shire Council’s Cunnamulla Library. Librarian, Tammy Hickey — assisted by teacher, Marg McLaren — saw this competition as a way to teach a younger generation all about the courage and sacrifices of our soldiers in a time when the world was at war. Students were asked to research the events that inspired the legend of the ANZACs, to complete a quiz and write a 200-word essay entitled, “What ANZAC Day Means to Me”. Aiden and Grace were judged the winners and their very strong family ties to World War I were amply demonstrated with their respective entries. A trip to Brisbane was the prize. And what a prize it was! With the help of the ANZAC Day Commemoration Committee each attended the Brisbane ANZAC Day Dawn Service and lay a wreath before witnessing just how the city honours The Fallen and holds dear all those who continue to defend our nation’s freedom. Extras on the trip included attending the Cosentino show at QPAC and meeting him after the show; enjoying a performance of Cirque Du Soleil; a lunchtime river cruise; a tour of the State Library of Queensland's Distant Lines exhibition — including a “white gloves” tour of war memorabilia; and a visit to the Amberley Aviation Heritage display. “Aiden and Grace met so many inspiring people during their Brisbane visit and will take many longlasting and cherished memories back to their family, friends and community in Cunnamulla,” Ms Hickey said. Themes -- Themes collection page..
Wars -- Collection of Wars history page..
Interactives -- Interactives collection page..
Memorials -- Learn about some of the many memorials erected in Australia and other countries honouring Australian service personnel. Medals - A display of some of the medals awarded to Australian service personnel. Classroom Activities - A selection of activities for upper primary and secondary pupils. The activities are broadly designed to allow pupils to examine and comment on the circumstances surrounding Australia's involvement in conflicts. Useful Local Contacts and Resources - Information to assist students with research for projects and assignments on memorials. An Introduction to ANZAC Day for Early Childhood - Aims at assisting Early Childhood teachers to instil an understanding of ANZAC Day in their pupils. A is for ANZACs - A web based adaptation of Matt Anderson's children's book. Maps - A collection of maps relevant to campaigns in which ANZACs were involved. Traditions, Facts and Folklore - A collection of maps relevant to campaigns in which ANZACs were involved. 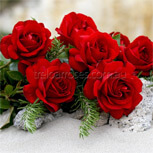 The ANZAC Quiz - A selection of questions and answers on the topic of ANZAC.